Tesla on Tuesday said it has entered into an agreement to purchase Grohmann Engineering, an automated manufacturing systems company based out of Prüm, Germany. Financial terms of the deal, which CEO Elon Musk described as the first significant acquisition in Tesla’s history, were not disclosed. 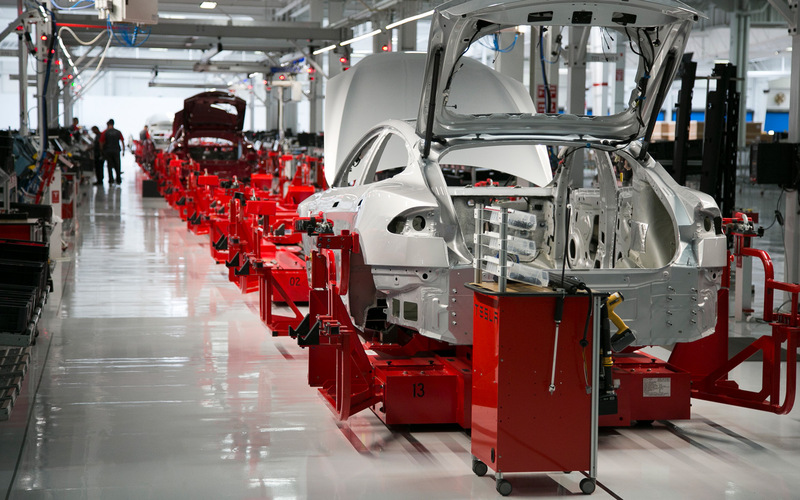 Grohmann Engineering isn’t just another production facility for Tesla to use to directly manufacture its vehicles. Instead, the firm will be responsible for designing and producing critical elements of Tesla’s automated manufacturing systems that’ll lead to exponential improvements in the speed and quality of production while simultaneously lowering the production cost of each vehicle. In a call with journalists Tuesday morning, Musk said that because automation is such a vital part of the future of Tesla, the phrase that he’s used before is that it’s about building the machine that’s building the machine. That aspect actually becomes more important than the machine itself as the volume increases, he says, adding that it’s important for Tesla to bring in world-class engineering talent. Tesla highlighted in a blog post that they’ve increased the production rate at their Fremont factory by 400 percent in four years. They’ve also increased their target output to 500,000 vehicles by 2018 with a goal of doubling that to one million by 2020. The acquisition is expected to generate more than 1,000 jobs in Germany over the next two years on top of the 700 employees currently working for Grohmann Engineering. Tesla said it aims to close on the deal in early 2017 pending customary regulatory approval.